Hall of the Mountain King: Review: Black Sabbath, "13"
There’s a bit of genius in the layout of Black Sabbath’s long-awaited reunion album 13, which just became the band’s first U.S. No. 1. 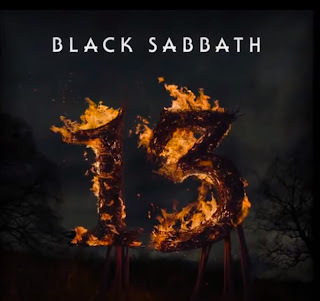 It’s a pretty safe bet that with 13, we hold in our hands the final studio album in the career of Black Sabbath, which makes the choice of the first and last tunes on the standard eight-song version of the album so great. It opens with “End of the Beginning,” which features, early on, a riff that’s designed to put you in mind of the title track from their eponymous debut album — the song that started everything. Then, as eighth track “Dear Father” fades out, we get the thunder, bells and rain sounds that open that album. It brings the career of Sabbath full circle in a very nice touch. It’s a simple, but powerful moment that leaves fans with a bit of a wow. To my surprise, though, 13 was a record that needed a couple of weeks to grow on me. Perhaps it was the hype. Three of the original four members back together, working with Rick Rubin, who has a reputation for bringing the best out of bands late in their careers. I think I was expecting to have my mind blown like it was the first time that I heard “War Pigs” — my introduction to Sabbath. Of course, they’re very different musicians now, and I’m a very different music fan. That was never going to happen. Still there was a bit of disappointment for me that it didn’t. Don’t get me wrong. I like 13. I like it a lot. I like it more every time I listen to it. But I do have a few frustrations with it, as well. The one thing about this record that can’t be disputed is the fact that, at age 65, Tony Iommi is still writing the baddest riffs on the planet. The man created the metal riff. His work is the template that all of the metal bands that came after used, and most of the best guitarists in the genre will tell you that without hesitation. He’s still churning them out on 13, one after the other. 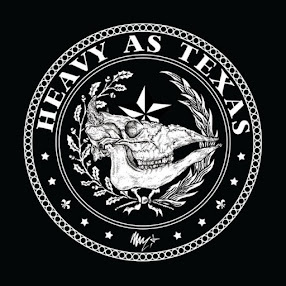 Dark, sinister, crushingly heavy. All of his trademarks are here. Several times on the album, Iommi hits that big, ominous, echoing power chord on his simple Gibson SG and you can picture those younger guys toting around those down-tuned eight-string guitars quivering in despair to realize that even with those extra low strings, there’s no matching his intensity or heaviness. Geezer Butler, who I’ve always felt was the heart and soul of the band, does what he always does here. Butler wrote the lyrics for most of the band’s best songs of the 1970s and his bass lines are the band’s not-so-secret weapon. Having spent years locked in step with drummer Bill Ward, who we sadly don’t get to hear on this album because of contractual issues, Butler wastes no time in establishing the same kind of groove with Brad Wilk. For his part, Wilk does a great job in filling Ward’s considerable shoes. Old fans like me are still going to grouse a little about the original drummer’s absence, but the work here is solid. Then, there’s Ozzy. His vocals, admittedly, do occasionally sound a little processed, but we’ve grown used to that over the years. On the upside, there seems to be more energy in his performance. He doesn’t quite recapture his 1970s self, but there’s a lot of similarity to his 1980s vocals on many of the songs. Overall, the band and Rubin do manage to capture the spirit of the band’s classic sound. More than that, though, they also manage to nod to all of the eras of the band. There are the raw, heavy bluesy sounds of the beginning, the more proggy experimentation of their later years with Ozzy, and even the more uptempo metallic sounds of their stint with Ronnie James Dio. “Loner” and “Live Forever,” in particular, put me in mind of that era. There are nods to their classic work all over the record, not only in the riff of “End of the Beginning” or those final moments of “Dear Father.” “Zeitgeist,” one of my personal favorite tracks on the record, is practically an ode to “Planet Caravan,” with its soft, acoustic guitar, the spacey effects on Ozzy’s vocals and that bluesy, soulful solo from Iommi. Some of Ozzy’s solo career creeps in on the record, too. Parts of “Age of Reason” could have been pulled from one of Osbourne’s 1990s records. I’m thinking Ozzmosis. But damn, that riff from Iommi. Huge groove, heavy as a monster chunk of lead. When I grabbed my guitar after listening to this record, it was the first one that I wanted to figure out. The song also has some great proggy tempo changes and moods, and while some of the seven-plus minute tracks on this record get a little old before they’re through, “Age of Reason” is not one of them. But I think those slow, gloomy and doomy numbers are the ones that really shine on this record. Along with “Zeitgeist,” my other favorite is “Damaged Soul.” More than any other track, perhaps, it captures the vibe of the original Sabbath sound. Iommi’s fuzzy, blues-laced guitar riffs create a bleak landscape over which Ozzy wails like a harbinger of doom. For once, he really sounds like his 1970s version, then he puffs on his harmonica to boot to give it just a bit of the feel of “The Wizard” in places — another of those nods. Then Iommi backs away from the big riffs of the rest of the record to let loose some slow, sparse and smooth leads before they gear it up for the big, stomping, almost joyful payoff where it sounds like they’re just jamming out and having fun. It’s a song that truly would have been at home on their debut. Now for the bonus tracks: In a way, I wish they had made them part of the regular album for a couple of reasons. One, having a second disc kind of dilutes the effect of that cool moment at the end of “Dear Father.” It’s a moment of finality, but oh wait, we’ve got three or four more songs for you. I’m not saying that I want Black Sabbath’s recording days to be over, especially not after how solid this record is, but I just think the main project ends on the perfect note. Second, I think a couple of these songs are better than ones that did make the main album. “Methademic” is probably the fastest tune of the entire bunch, but it’s also the one that leans most toward the Dio era. It has that mystical feel and a few big vocal notes, and the listener — this listener, at least — really believes that the song might have been written for a Heaven and Hell project. That sort of chanted piece at the end was certainly tailor-made for Dio. Ozzy handles it well, though, particularly with that evil little laugh, and I still love the song. “Peace of Mind” features another one of those big, trademark riffs from Iommi and Butler’s rumbling bass setting the tone. At only about three and a half minutes, it’s the shortest and most straight-forward song written for the record, but sometimes that’s not a bad thing. “Pariah” might have my favorite riff of the songs recorded in these sessions. After a building, soft and dark opening, Iommi gets a little, believe it or not, funky. It’s something completely different from anything else here, and though the song isn’t one of my favorites, that riff is too cool. Finally, there’s the Best Buy bonus track, with another nod to their past in the title, “Naivete in Black.” This one’s a high-energy driving number that really puts me in mind of Sabotage, which also happens to be my favorite Sabbath album. And, yes, it’s my favorite of the bonus tracks. I kind of understand why they didn’t sandwich the bonuses into the album. They were trying to play on the doomy, heavy classic sound of the band and keep it to a relatively small number of songs to give it the real feel of a 1970s Sabbath record. I get that. All of the bonus tracks are more uptempo and rocking songs and probably would have thrown the pacing off a little. In the end, I guess I’m just glad we got them. Despite what my unrealistic expectations may have been, classic albums like Black Sabbath, Master of Reality, Paranoid and Sabotage can never be recreated, and as good as 13 is, I don’t think it’s a match for those. To their credit, Sabbath and Rubin didn’t try to do that. Instead, they went for the basic vibe of those albums, with a more modern feel that offers nods to all of the various sounds of the band over the years. In that, they did one hell of a job. Just like Heaven and Hell’s The Devil You Know was a strong and fitting end to the Dio lineup of Black Sabbath, if indeed, this is the final music they make with Ozzy, it’s a great way to go out.